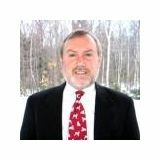 Justia Lawyer Directory Search for "D. Lance Tillinghast"
Search for "D. Lance Tillinghast"
I concentrate my practice in the areas of workers' compensation, personal injury and social security disability law strictly for plaintiffs. I am married and have two teenage boys. My law firm has eight attorneys who cover most legal areas. I am the only attorney in New England who has been certified as a Social Security Disability Advocate by the National Board of Legal Specialty Certification. I have been selected by the National Trial Lawyers as a Top 100 attorney in New Hampshire.